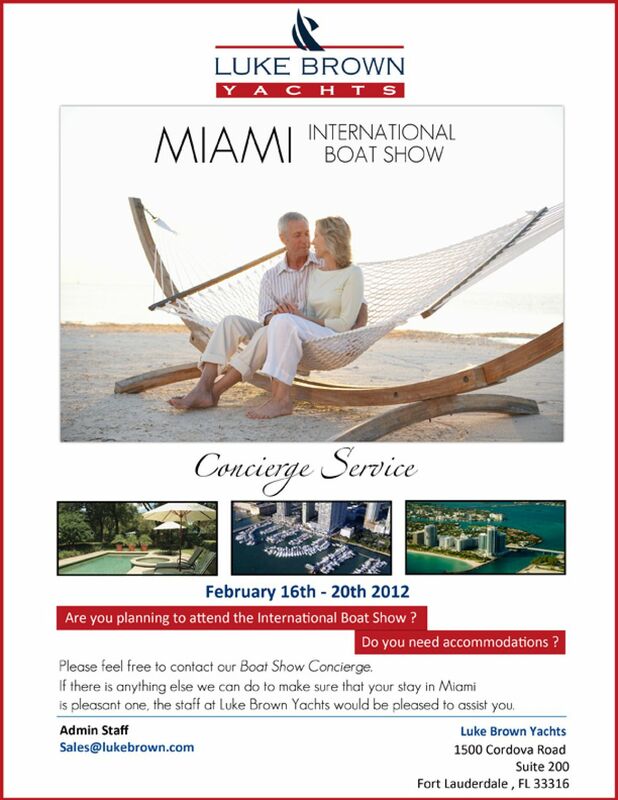 Are you planning to attend the 2012 Miami International Boat Show? Do you need accommodations? If so, please feel free to contact the Luke Brown Boat Show Concierge. If there is anything we can do to make your stay a pleasant one, the staff at Luke Brown Yachts would be pleased to assist you.Contact sales@lukebrown.com for Miami boat show concierge services. Luke Brown Yachts, 1500 Cordova Road, Suite 200, Fort Lauderdale, Florida 33316.